Voice Search: The New Ad-Platform Frontier | Advertising Systems, Inc. Need a key word for marketing trends in 2019 and beyond? Try “voice,” as the rise in smart speakers and continuing use of smartphones mean more voice searches overall and another advertising platform for brands to investigate in the years ahead. For marketers, a chief chore will be tracking to whom consumers talk the most: Will it be Amazon Echo’s star voice, Alexa, or will it be Apple’s longtime personal assistant, Siri? Or perhaps it will be your smartphone mic as you tap your Google app and ask where to find the nearest burger or sushi. 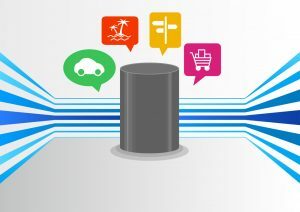 According to an eMarketer forecast issued in May, users of smart speakers in the United States are expected to rise from 16 million in 2016 to 76.5 million in 2020, with Amazon and Google continuing to fight for customer share. Amazon Echo, starring Alexa, is now the most popular smart speaker in the United States, followed closely by Google’s Home, which has been gaining on Echo in terms of more recent sales. Apple continues to market and improve its HomePod, meanwhile, but it trails Amazon and Google heavily in smart-speaker sales, thanks to its later entry into the fray and a heftier price tag of roughly $350 — about three times as much as it costs to banter with Alexa or with your Google Home product (whatever you’ve chosen to name it). Researchers say online publications ultimately will embrace the rise in smart-speaker use and sales by publishing audio content to the devices, and that Amazon, Google and Apple all will develop ad platforms for their respective smart-speaker products. Voice searches aren’t limited to bantering with Alexa, Google Home or other smart-speaker devices, of course. A study by BrightLocal, a search marketing firm based in the UK, found that smartphones are the most popular search tool for users who are trying to find local businesses. The challenge for local businesses, thus, is to find ways to be easily discoverable in search results — and to give the users/searchers the information they seek and need once they get those results. Smartphones, at 56 percent, are the most popular tools for voice searches; they’re followed by desktops/laptops (28 percent), tablets (26 percent) and smart speakers (18 percent). Top industry subjects of voice searches, BrightLocal says, are restaurants at 51 percent, then grocery stores at 41 percent, food delivery at 35 percent, clothing stores at 32 percent and hotels and bed-and-breakfast accommodations at 30 percent.